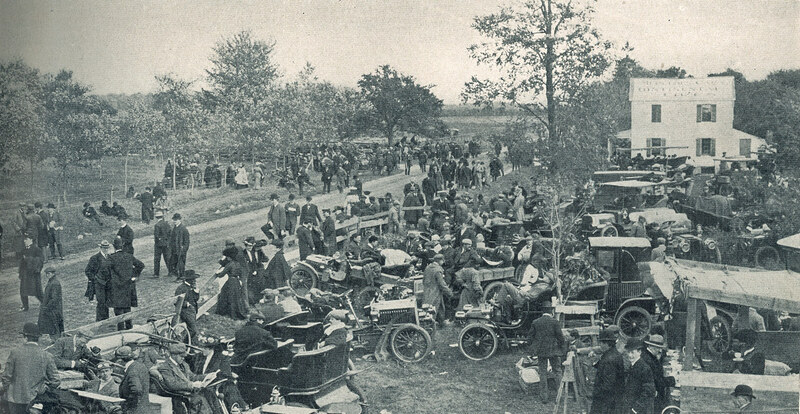 The location of the Westbury grandstand on Jericho Turnpike for the 1904 Vanderbilt Cup Race was documented last Sunday.. 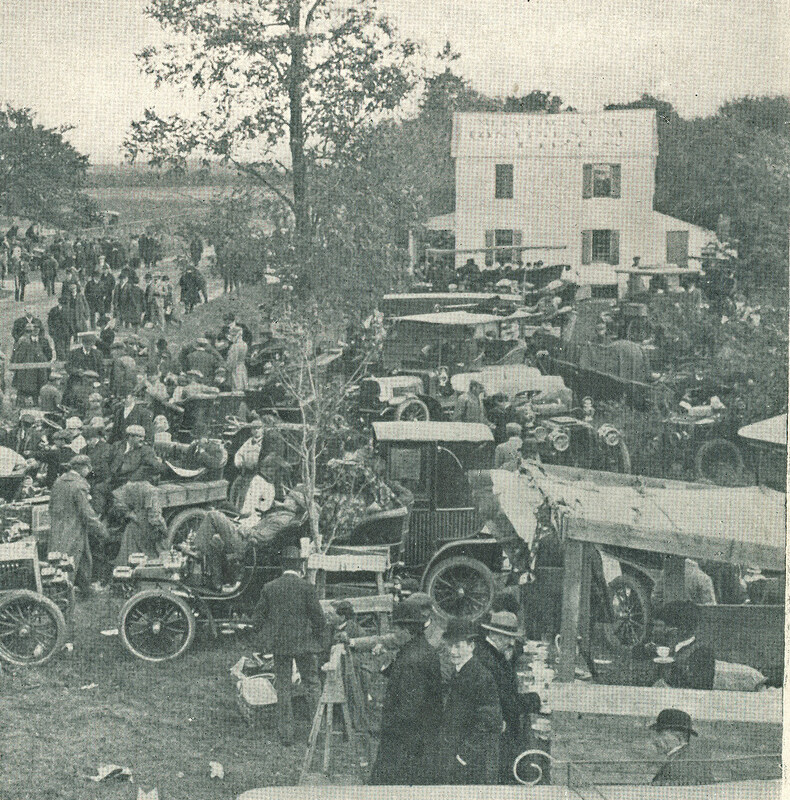 Here is another exciting photo showing the crowds east of the grandstand. 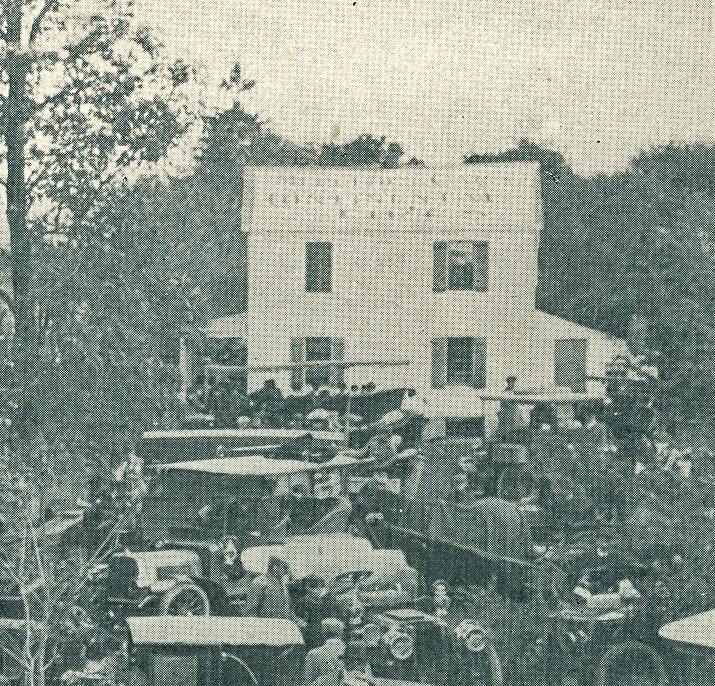 A close-up of John Allen's house revealed a large "Mercedes Cars Continental Tires" banner across the roof similar to the banner across the front lawn. 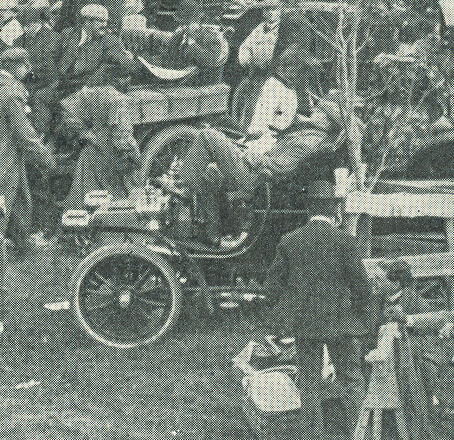 The 1904 race began at the break of dawn.... a little too early for this napping race fan.